Planet Aid Unveils Massive Solar Array - Planet Aid, Inc. 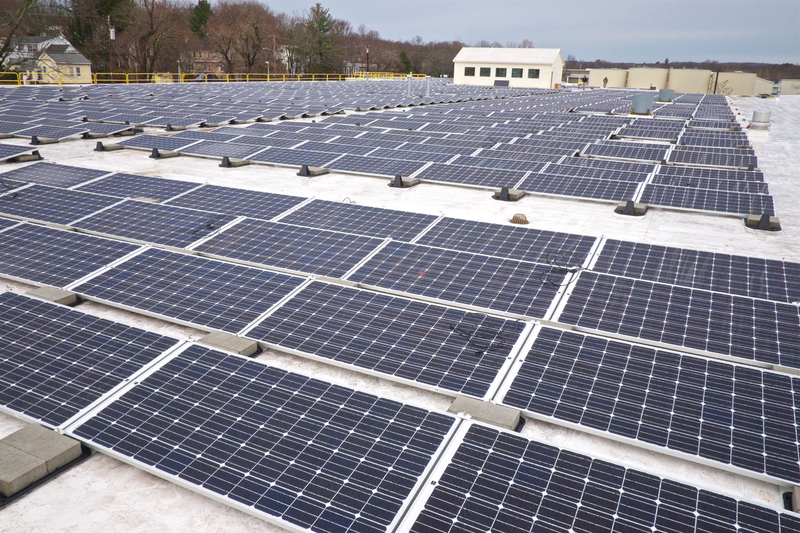 Planet Aid today unveiled a massive 70,000 square foot rooftop solar power–generating installation at our Milford, Massachusetts facility. One of the largest roof-mounted solar arrays in the state, the solar panels will generate nearly 700,000 kW per year. State and local representatives attending the inaugural event spoke highly of Planet Aid's initiative and for its contribution toward saving resources and the environment. 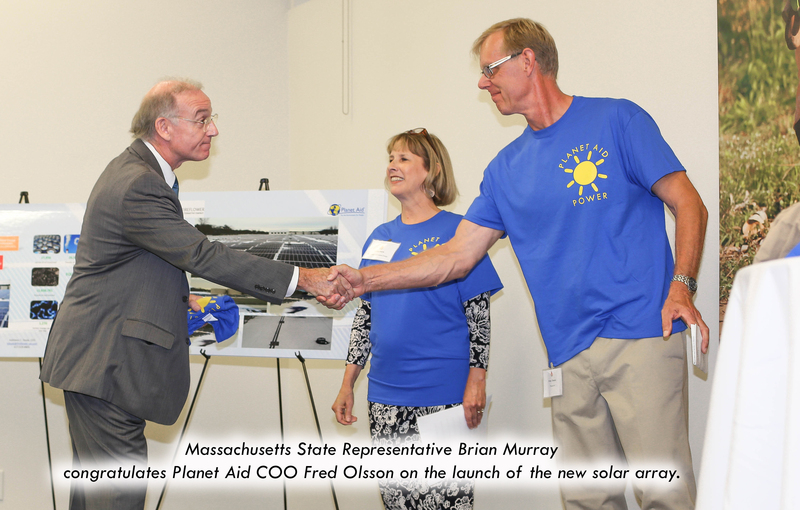 Read an op-ed in the Milford Daily News by Massachusetts State Representative Brian Murray (House Committee for Global Warming and Climate Change) about Planet Aid's work to remediate the soil and develop solar power generation at its Milford facility. This renewable source of power will save approximately 28,000 barrels of oil from being burned, and help to reduce CO2 emissions into the atmosphere by 12,000 metric tons, which is equivalent to saving over 1.3 million gallons of gasoline or planting more than 11,000 acres of new forest. The array will also contribute to Massachusetts' goal of lowering greenhouse gas emissions down to 15% of 1990 levels by 2020. Participants at the ribbon cutting were able to tour the rooftop facility and observe a real-time display of the power being produced. They were also given the opportunity to tour an exhibit that showed the extensive rehabilitation Planet Aid had performed over time on the site of the formerly vacant warehouse. That work included the removal of nearly 13,000 tons of petroleum contaminated soil. Details about Planet Aid's new solar array were reported in Solar Power World.